Hi I am in the progress of making a pilots costume over here in the uk(HI all)I am following instructions from echobase website ,but I am not clear on the piece of belt that goes around the waist ? Does it attach to the straps that attach to flack vest and how does it stay up? It's just like any other belt. You put it around your waist, cinch it tight, and hope it doesn't fall off, since there's no belt loops. The belt does not attach to the ejection harness straps, it's seperate. This is the only place we girls have an advantage in this costume, because we have waists, so our belts stay up. I haven't finished my costume yet, I am so not looking forward to the hassle it's gonna be when I have to visit the rest room! That's where guys have the advantage over us, if they have the dual zipper. 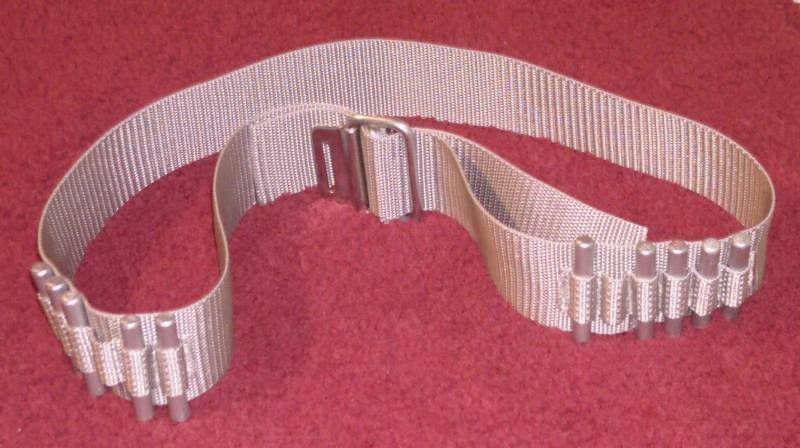 where s the best place for screen acurate belt clips please? Mr BoJangles sells the belt buckles. Mr. Bojangles is about the only one I know who stocks the buckles. I never understood why webbing is sewn onto one side the buckle like it is. Yes, I know it's done that way on Luke's belt, but it doesn't make any sense. That kind of buckle doesn't work right with only one end of strap going through it, it works better with both ends going through it. Seems like the only want to make it stay tightened, is to use Velcro on the long end that goes on the inside. I'm not going to do that, I'm going to leave both ends loose and let the buckle do what it was intended to do, be functional. Plus, I'm working on losing weight, so that way I won't have to keep resewing the buckle, to keep the sets of mini flares evenly spaced, I can just cut off the ends and melt the edges. Because the buckle is not mandatory for acceptance/formal status. The belt is, but not the buckle. So basically, people have made due with whatever they could find. 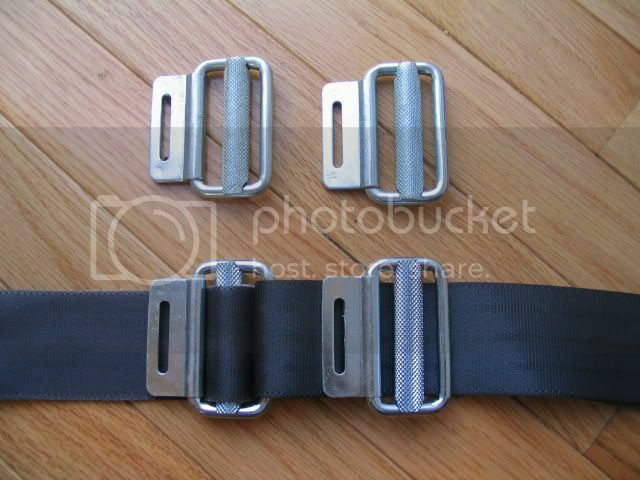 Plastic buckles, velcro, etc. Obviously if everyone had the buckle, we'd be very happy, but we're not holding our breath at this point. Yes, I still have a few left. Might be a while for me to make a bulk order once these run out. Pm me if you interested.